Now, the federal government is trying to snuff out the use of canaries altogether, telling Twitter that it is forbidden from using “zero” when it reports on security demands in its Transparency Reports, the semi-annual documents used by [company]Twitter[/company] and other tech companies to report on FBI and NSA demands. The fact this there is a fight over “zero” and warrant canaries is revealed through a close reading of the lawsuit that Twitter filed against the Justice Department this week. The lawsuit, which claims the government security demands violate Twitter’s free speech rights, repeatedly asks the court to declare that it may use “zero” when stating whether it has been subject to various secret legal orders from the government. 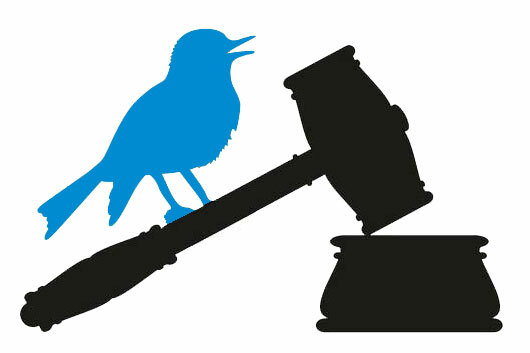 “We hope to convince the court hearing our case to give the first firm ruling that warrant canaries are legal,” said a Twitter spokesperson by email. So does Twitter have a case on warrant canaries? Do companies have the right to tell the public that the government is not using secret laws to investigate them? [pullquote person=”” attribution=””]Do companies have the right to tell the public that the government is not using secret laws to investigate them? [/pullquote]In the aftermath of the 2001 Patriot Act, libraries across Vermont posted “the FBI has not been here” signs to tell patrons the government had not made secret requests for their reading lists. But the tech industry’s digital version of the tactic appears to be facing tighter controls. Apple was among the first tech companies to use a warrant canary in its 2013 Transparency Report. The canary, which read “Apple has never received an order under Section 215 of the Patriot Act,” has since vanished in subsequent reports — though it’s unclear if this is because Apple has received such an order, or if it is due to a recent letter in which the government banned the use of “zero” in reports. As for Twitter, it insists that it’s not a party to the agreement described in the letter and, in any case, the requirements violate the First Amendment. And it might have a case. Cardozo also noted that other companies continue to publish warrant canaries that flag various NSA and FISA procedures. One example is Tumblr, which is owned by Yahoo, a company that has been on the forefront of challenging the government’s secret surveillance orders. As a result, these companies and civil libertarians will be watching Twitter’s lawsuit closely. The case will not only provide more details about government surveillance practices, but help to provide a better understanding of the warren of secret laws that the government has been using to demand information about citizens. An earlier version of this story attributed Twitter’s quote to a VP of Legal. Twitter later said the quote should be attributed to a spokesperson instead. Secret laws. How is one suppose to obey a law when that law is not known? Laws are written to moderate behavior and, thus, must be attainable by those for whom the laws apply. This secret game being played by governments (not just the US) further proves that a new way of administering law and punishment is necessary. Law enforcement agencies should never reduce themselves to behaving worse than the criminals they are trying to control. What have these secret games panned out for justice? What criminals were captured that could have not been captured by other overt means? When law is practiced in secret, corrupt law can also hide under the veil of secrecy. How many citizens have been wrongly hurt, in secret, because of such laws? How are we to ever know if such disclosures are secret? The only thing that appears to hold true and apparent about that crummy piece of rag called the US Constitution is that the government will openly secure the rights of its citizens to own weapons…for whatever reason.